People meet, connect and create something new. Mt. Takao is a place for communication and creative activities. 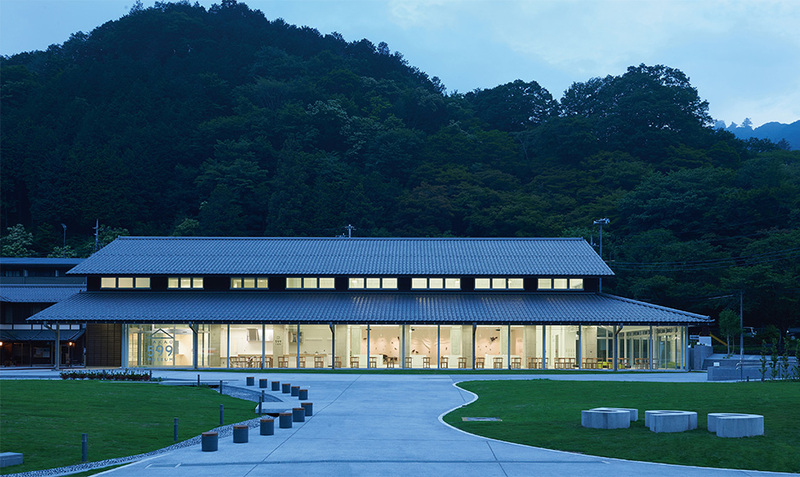 TAKAO 599 MUSEUM has communication space like 599 Cafe, 599 Shop and 599 garden that all visitors can gather, relax and communicate before and after climbing Mt. Takao. Please feel free to stop by! 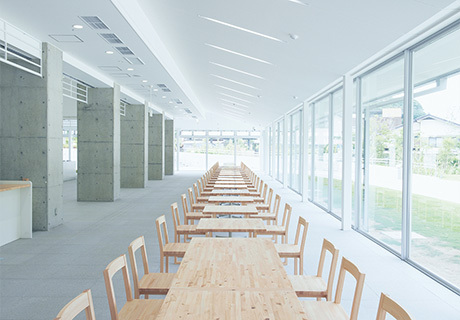 This cafe features tables and chairs made of wood sourced from the Tama region arranged in a line overlooking the lawn outside. Enjoy fine coffee and a warm atmosphere. Wi-Fi is also available. 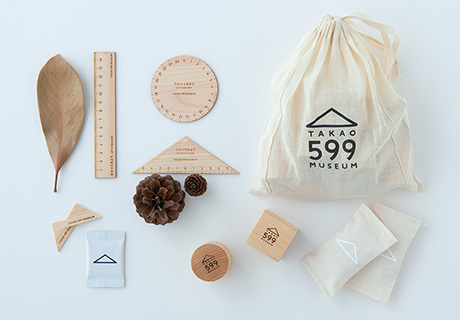 Our shop offers unique goods for guests who want to experience more of the nature of Mount Takao, or want to bring home that special souvenir for friends and family. 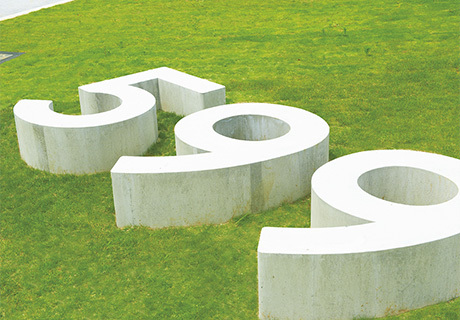 In the relaxing open lawn space you’ll find the prominent numbers, 599. The perfect spot to take photos, this monument acts as a bench—the 599 BENCH—symbolizing the museum. The lawn area and the splashing pond where children can enjoy water play are great gathering places for people to sit and relax.